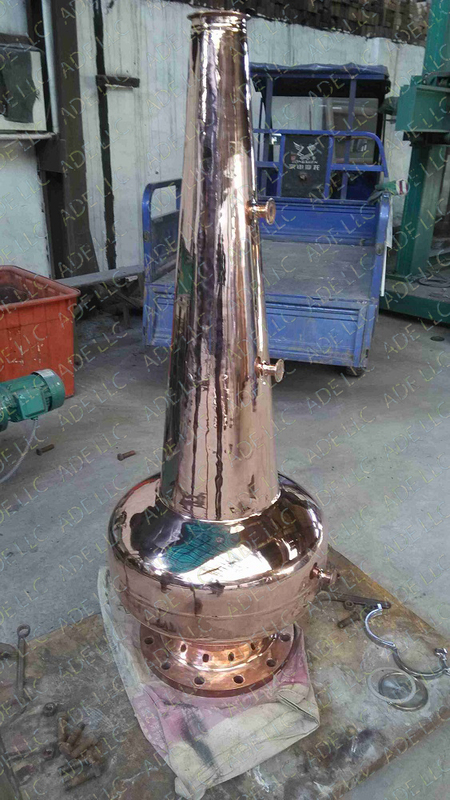 Pictured below is one of our copper 6" diameter 4 plate bubble plate columns (made in the USA). 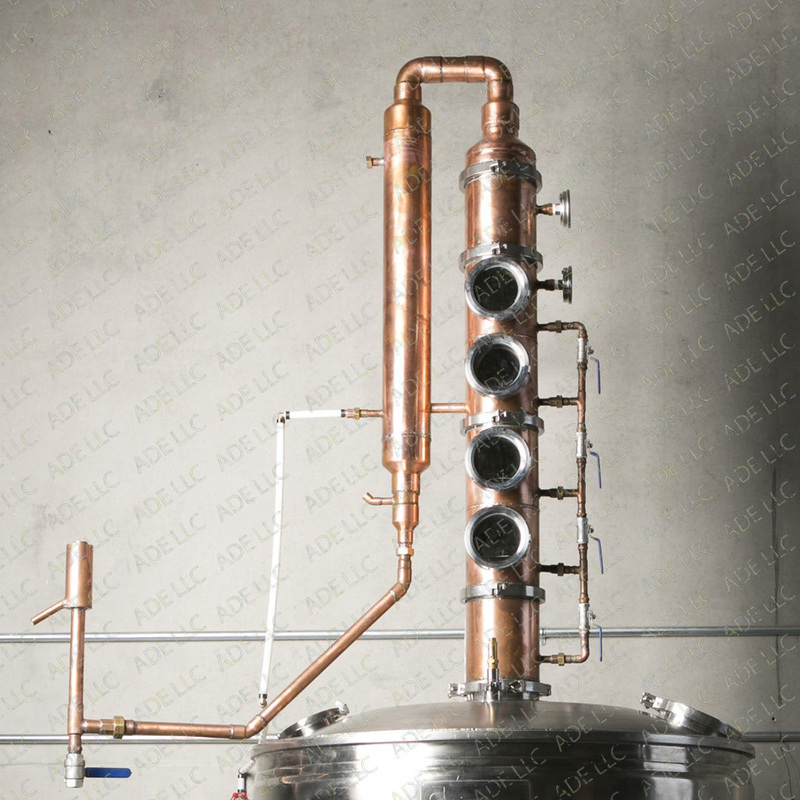 If you have any questions or if you would like to place an order please call 417-778-6100 or email paul@distillery-equipment.com All major credit cards are accepted. 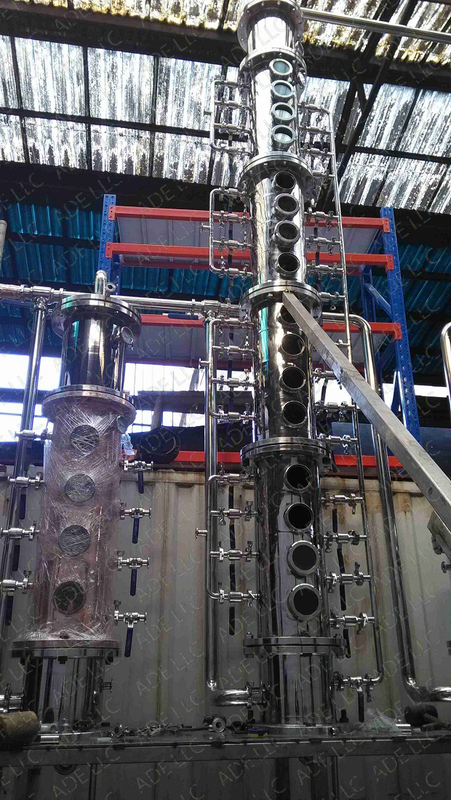 Pictured below is one of our 12" stainless vodka columns and one of our copper 4 plate whiskey columns under construction. 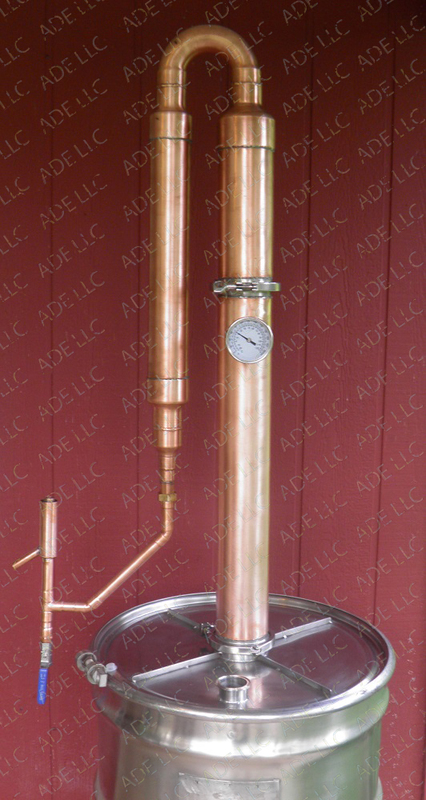 Pictured below is one of our a 4" copper reflux column (made in the USA). Pictured below is one of our Copper 6" diameter 6 plate bubble plate columns (Made in the USA). 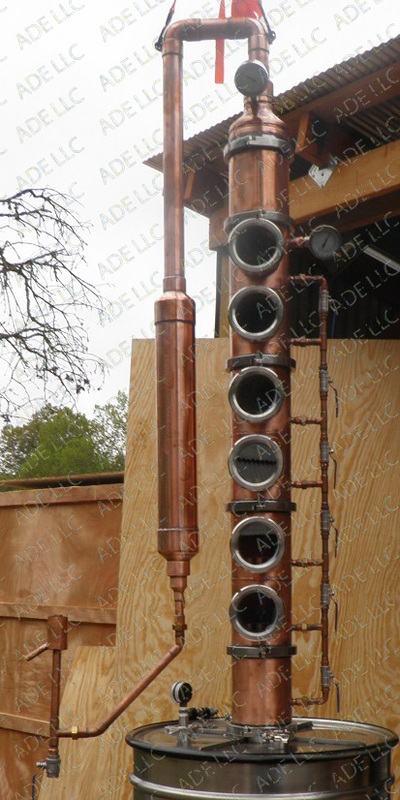 Pictured below is one of our Copper 14" Scotch Columns.